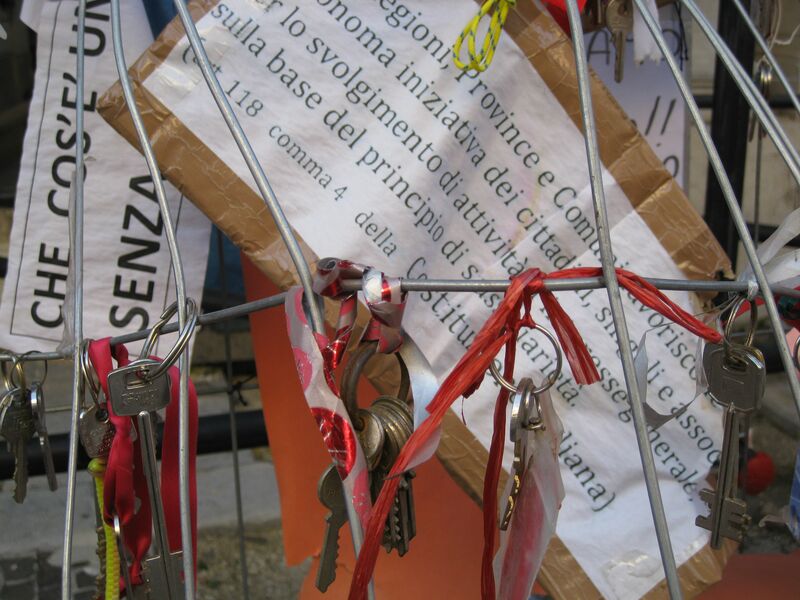 Sets of house keys have been fastened to a wire fence by residents at the corner of Corso Vittorio Emanuele and Corso Umberto I in protest to the government ban on independent rebuilding of homes. Resident frustration runs high as those with means are thwarted from shoring up their homes and repairing damage. Homes are interconnected by gas and water lines and shared walls. Independent enterprises are not an option here. A poignant civic exercise, the keys ultimately hang limp under the inevitability of rebuilding block by block.